Our Energy Economics team is led by Dr Greg Swinand, who is a Partner at London Economics. 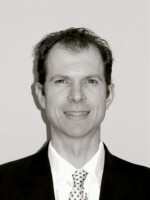 Greg has over 15 years experience as an energy economist and has been leading LE’s energy team for a number of years. He has wide experience in a range of sectors, including electricity, gas, oil, wind and renewables. Dr Swinand’s experience includes regulatory and competition analysis, advising government agencies, legal support and contract analysis, and valuation for merger and acquisitions. Prior to joining London Economics, Greg was a Lecturer in Economics at Babson College in Wellesley, Massachusetts in 1997, and prior to that a Lecturer in Statistics at Boston College. Greg has a PhD in Economics from Boston College, and a BA and MSc in Economics from the University of Massachusetts, Amherst.